266 p., 18,1 x 25,4 cm. In the academic year 1810/1811, Bolzano held 49 edification speeches. All of these speeches have been preserved. Bolzano’s handwritten drafts of 13 speeches have been preserved, and the edition is based on these. Three of these autographs were rediscovered during the preparations for this edition. Thus among all the edification speeches held in all the academic years, those speeches he held in 1810/1811 have been proven to be the most authentic. Approximately half of the speeches (24) were previously unpublished. 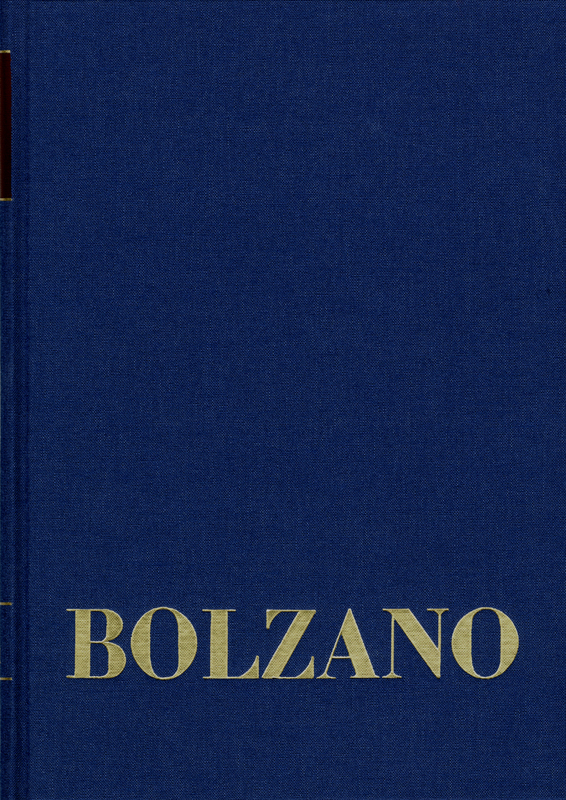 The fact that these speeches have been preserved in their entirety and in multiple documents is evidence of the extraordinary success of Bolzano’s rhetorical concept.